2017 see's the 9th running of this sell-out event, that will now be run in support of Against Breast Cancer UK. Limited to just 1,000 spaces - it's sold out for the last six years and is always extremely popular. 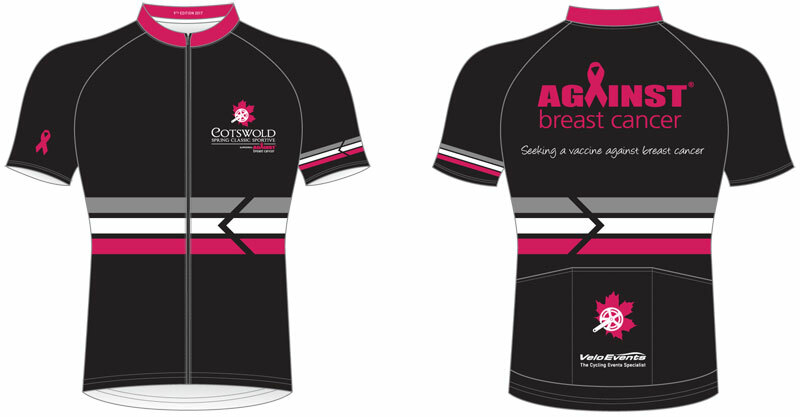 New for 2017 is the limited edition Cotswold Spring Classic, supporting Against Breast Cancer jersey. Made by the team at Orca, this limited edition jersey not only looks great - but helps to raise money for this fantastic charity. Don't forget to order yours when you sign up.